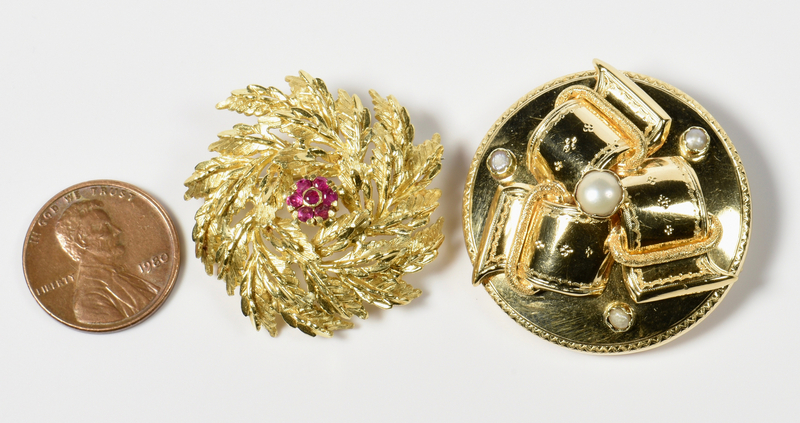 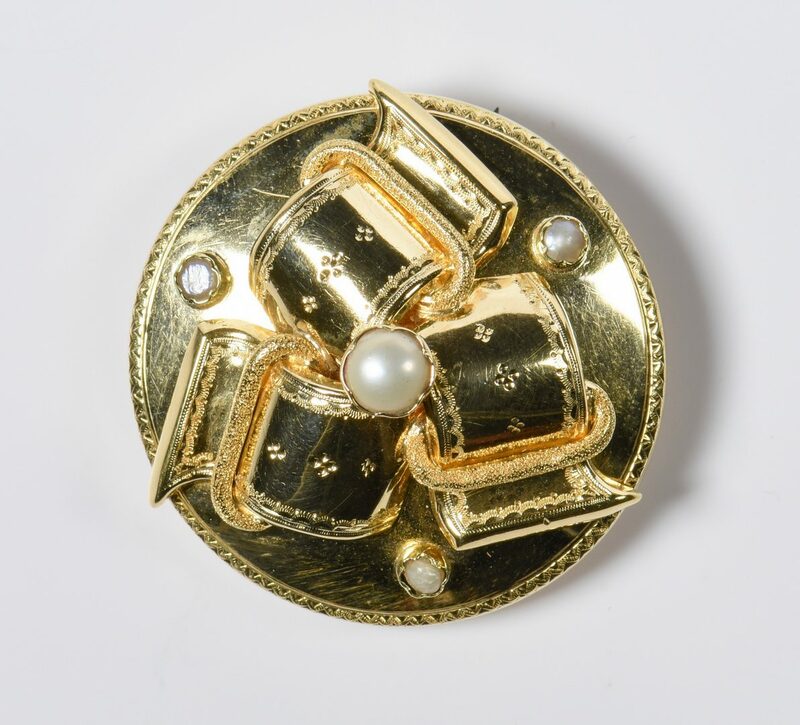 1st item: 18K yellow gold and pearl round brooch/pendant by Gustav Dahlgren and Co., Malvo, Sweden, dated 1865, designed with three interlocking buckles and four freshwater pearls on round dome with scalloped border. 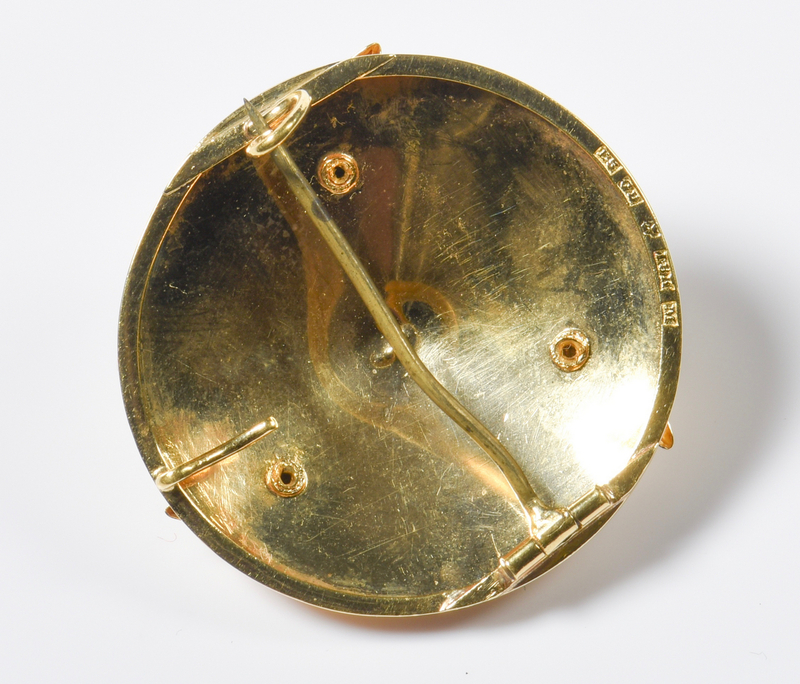 1 3/8" diameter. 8.3 grams. 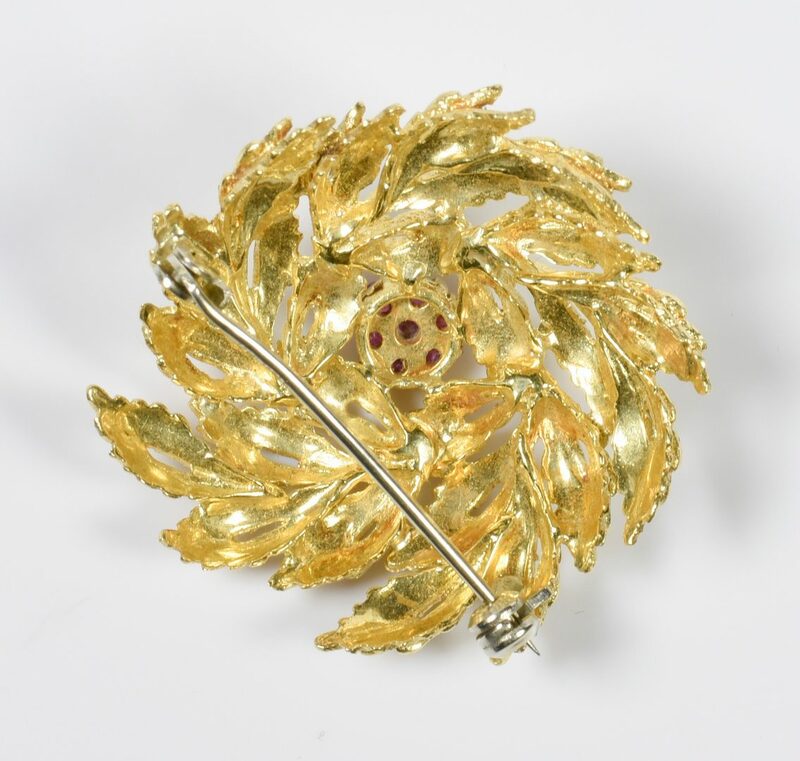 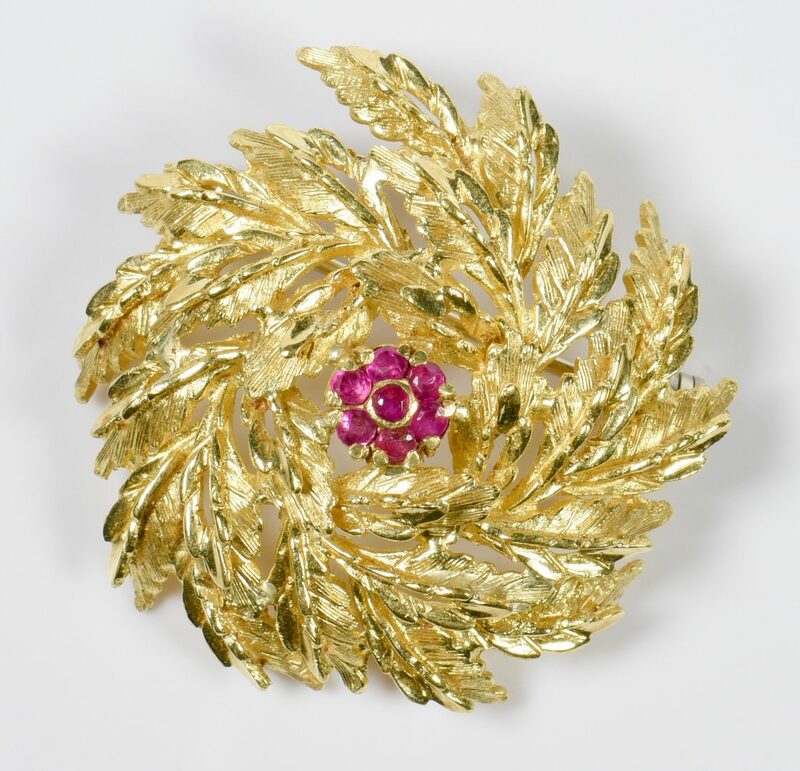 2nd item: 18K yellow gold swirl leaf pin, satin and bright finish with ruby floral center, marked "Italy, 18K", 1 3/8" diameter, 10.9 grams. 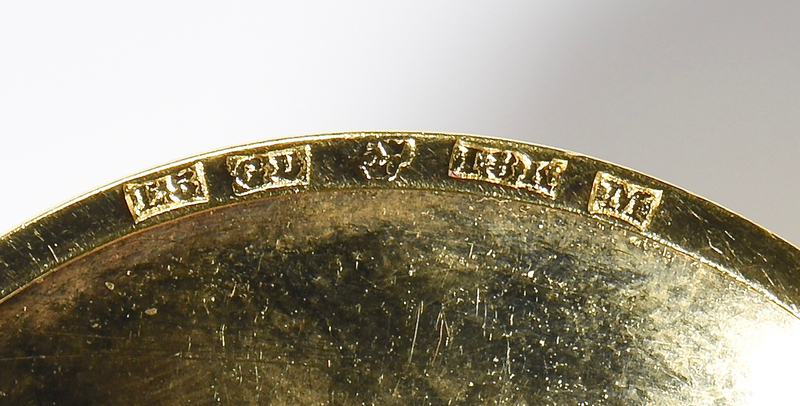 Total weight 2 items: 19.2 grams. 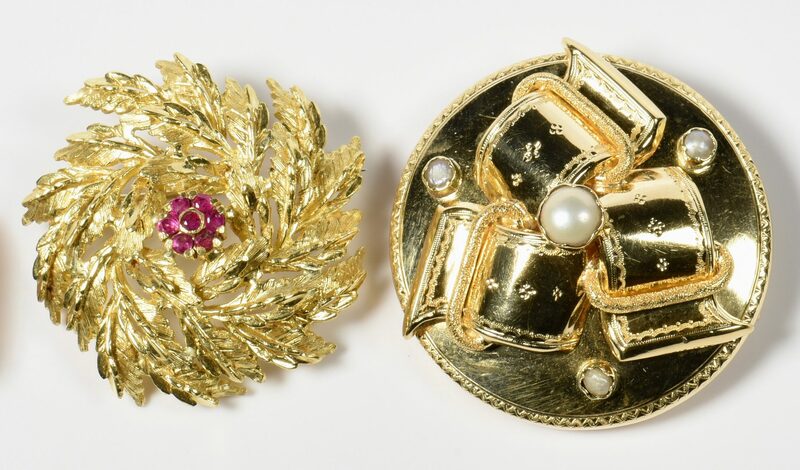 CONDITION: Both in very good condition with some minor surface scratches.